SOS Children’s Villages, in partnership with MobilTrain, an Indian company specialised in providing learning solutions using mobile technology, is implementing “Text2Change”, a mobile-phone based learning project aimed at enhancing the employment prospects of young people in Cambodia and parenting skills in Sri Lanka. Text2Change is a mobile-phone enabled programme based on sharing skills through text and voice messages, monthly sessions via Skype and quarterly physical trainings. This method makes learning accessible to everyone – regardless of location, age, or educational level. It opens up opportunities for people who might otherwise face difficulties participating in learning activities. Cambodia has a population of over 15 million people. Around 65% of them are under the age of 30. Text2Change provides high school students in Cambodia with easy-to-grasp lessons that help them improve their English, develop self-confidence and gradually prepare them for employment. 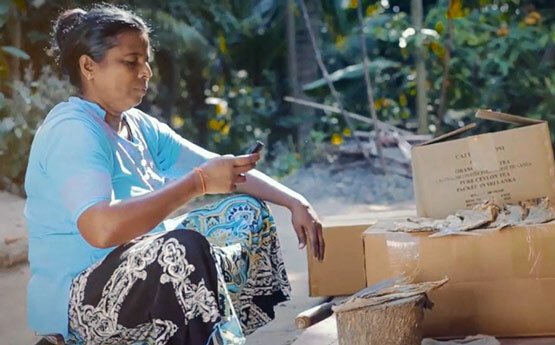 In Sri Lanka, many women participating in SOS family strengthening are single parents and struggle to find opportunities to develop parenting skills and professional capacities such as English, financial management, administration and ICT skills. They have little or no access to resources that can fill in the gaps in their knowledge and skills and improve the delivery of care towards their children. How we leverage technologies to improve the lives of children and families. Find out more how our ICT projects work in action in countries around the globe. Learn more about how we help ensure that children and young people have access to education.